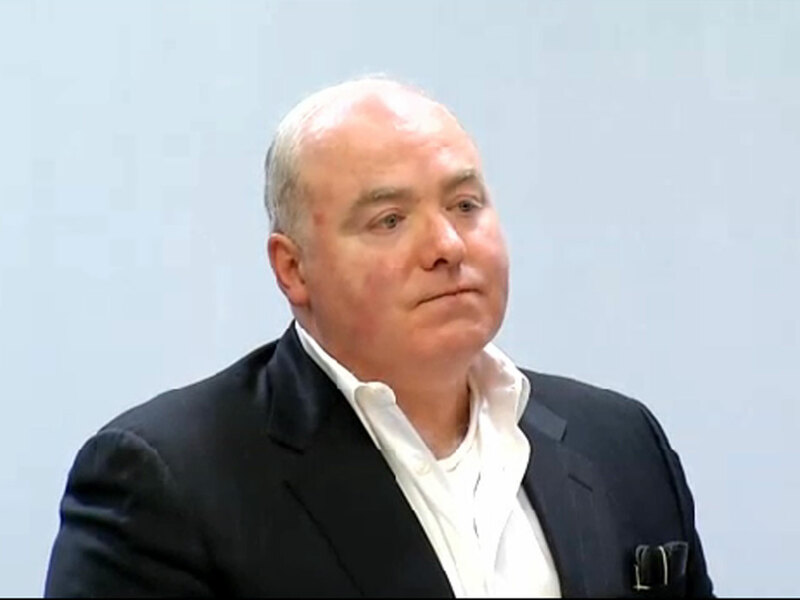 (CBS/AP) VERNON, Conn. - A Connecticut judge ruled Wednesday that he did not have the authority to grant bail for imprisoned Kennedy cousin Michael Skakel, who wona new trial last month in the 1975 slaying of his Greenwich, Conn. neighbor, 15-year-old Martha Moxley. WATCH: 48 Hours: "The Ghosts of Greenwich"
Judge Thomas Bishop did lift a stay in the case, and if the state's appellate review board upholds the judge's ruling, Skakel's attorneys could apply for a bail hearing in 10 days. Judge Bishop said the bail issue can only be addressed at Stamford/Norwalk Superior Court. Skakel was present for the hearing Wednesday morning in Rockville Superior Court.He appeared before the judge in handcuffs and a suit. At times, he put his head down, closed his eyes and shook his head as the state argued against his release. Judge Bishop ordered a new trial for Skakel last month saying Skakel's trial attorney, Michael Sherman, failed to adequately represent him in 2002 when he was found guilty of bludgeoning Moxley with a golf club. The 53-year-old nephew of Robert F. Kennedy's widow, Ethel Kennedy, is serving 20 years to life. Skakel's current attorney, Hubert Santos, filed a motion after the ruling seeking a $500,000 bond.On Wednesday, Judge Bishop asked for legal briefs from both sides, questioning whether he has the authority to consider a motion for bond because his orders are stayed and state law excludes bail for those convicted of murder. "He should have been let our when your honor issued his decision 15 days ago," Santos said in court Wednesday. "This defendant has the right to walk out of this courtroom today." Prosecutor Susann Gill argued state law excludes bail for those convicted of murder and terminating the stay would thwart the administration of justice by requiring the state to retry Skakel before an appeal is finished. Gill went on to say that if the stay was lifted, the case should go back to the judicial court of Stamford. While Judge Bishop agreed to lift the stay Wednesday, he said the habeas court does not have the authority to grant Skakel bail. Bishop said that while Skakel is entitled to bail, he does "not believe this is the appropriate court to take this action." He also said a state appeal of his decision is unlikely to be successful. "My sense is that this is not a very strong appeal," the judge said. Gill has said she disagrees that an appeal likely won't be successful.